In 1967, riots erupted in cities across the country as African-Americans took their discontent to the street. In that one year, there were 163 riots. Detroit was the scene of some of the worst violence, with five days of rioting that left 43 dead, including 33 African-Americans. 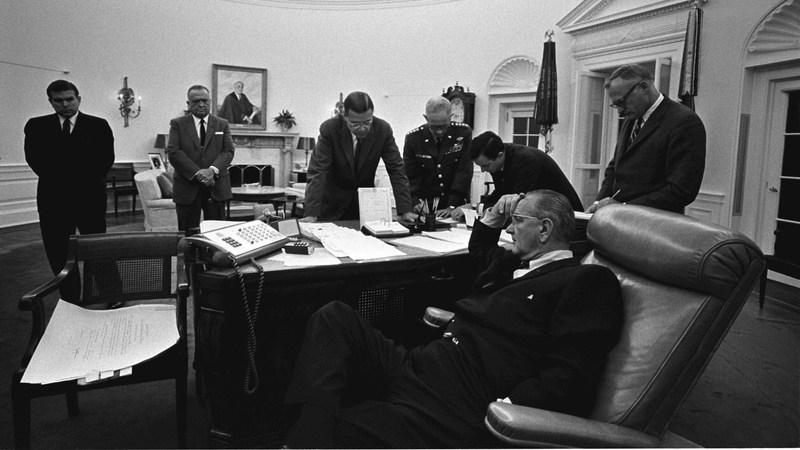 In response, a shocked President Lyndon Johnson formed a commission to find the source of the anger. The 11 members of the National Commission on Civil Disorders, better known as the Kerner Report – all of whom were men and all but two of whom were white – concluded that institutional and systemic racism was behind much of that rage. The last surviving member of the commission, former Sen. Fred Harris of Oklahoma, has now helped update that report. The new study is called “Healing Our Divided Society” and is edited by Harris and Alan Curtis, president of the Eisenhower Foundation, with contributions from a 23-member National Advisory Council of distinguished Americans, including Nobel Prize-winning economist Joseph Stiglitz. Among the new report’s somewhat depressing conclusions: white supremacists have become emboldened and more violent; in housing and schools there is re-segregation that confines African-Americans to poorer neighborhoods and schools; and the percentage of children living in poverty has risen from 15.6 percent in 1968 to 21 percent in 2017. The report also highlights rising inequality, noting that 52 percent of all new income in the United States goes to the top 1 percent. Part of the reason for that rising inequality is executive pay: In 1967 the ratio of CEO pay to worker pay was about 25-to-1. As of 2015, it was 275-to-1. “For a number of years – almost a decade – we made progress on race and poverty in this country after the Kerner Commission. But then the climate changed, the economy got worse, and things began to go backward,” Harris said. But despite the lack of progress since the publication of the initial report, Harris says we know what we need to do to improve things. “We know what works,” Harris said. “Raising the minimum wage works. It not only bumps up wages for people below the minimum wage but it bumps up everybody’s wages and it pumps more money into the economy so that it is good for everybody. Harris joins Phil Ponce to discuss the Kerner Report and its successor. Feb. 28: West Garfield Park residents have a life expectancy of 69 years, compared to an average life expectancy of 85 years in the Loop. By 2030, West Side United hopes to cut that life expectancy gap in half. Jan. 9: A scorching accusation by a candidate for Illinois governor adds fuel to the gentrification debate in Chicago.